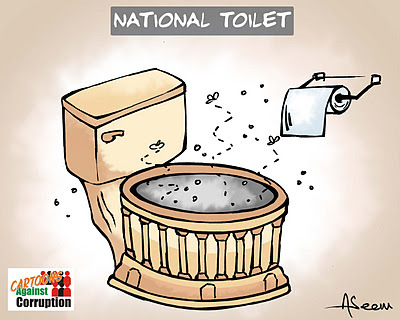 India’s politicians are not covering themselves in glory these days. Widely despised for their venality, they increasingly take shelter behind presumed outrage to national institutions. 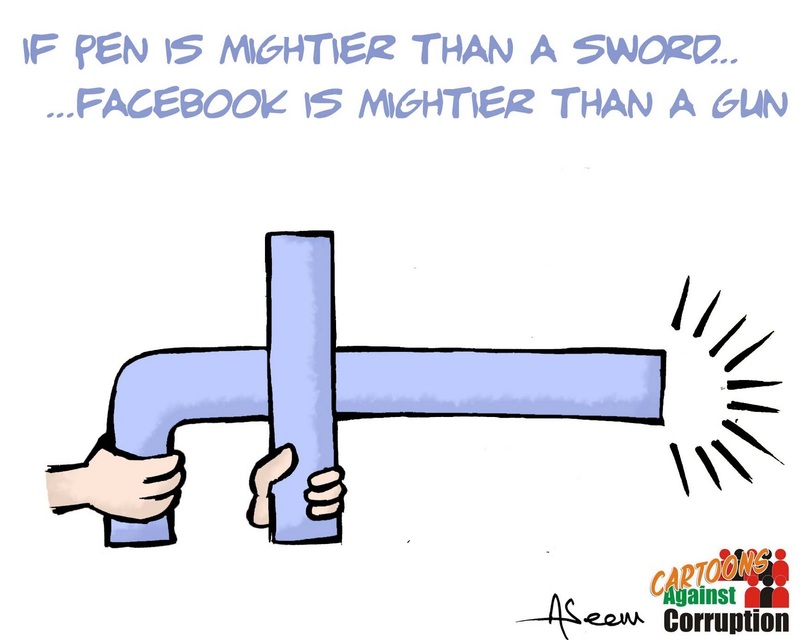 Last year communications minister Kapil Sibal drew widespread condemnation for trying to censor social media sites for offensive posts that mocked the government leadership. Bengal Chief Minister Mamata Banerjee has dissipated the goodwill from ending more than 30 years of communist rule last year by bizarre displaying a megalomaniacal persecution complex. First a professor was locked up (after being roughed up by her party goons) for the “cybercrime” of forwarding a fairly innocuous political cartoon. When asked inconvenient statements at public rallies students and farmers can be labelled maoists and arrested. 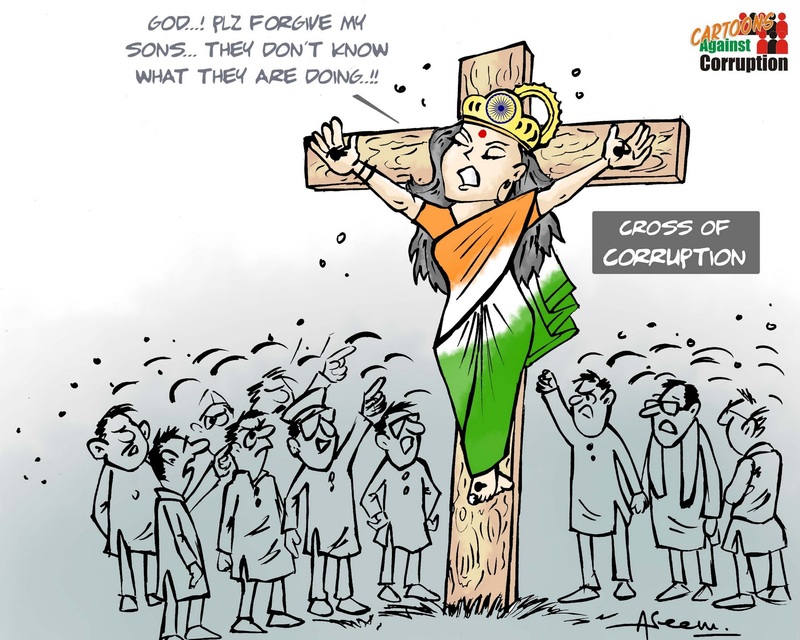 Now comes the case of cartoonist Aseem Trivedi. Americans who huff and puff in outrage about flag burning being called protected speech should pay close attention to what happens when a state criminalizes the mockery of national symbols. Trivedi’s crime was posting the cartoons below on the internet during Anna Hazare’s protests last year. 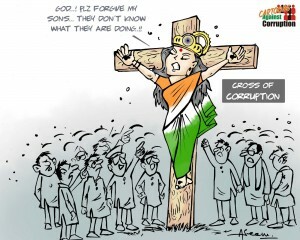 The cartoons range from pure mockery to over the top. 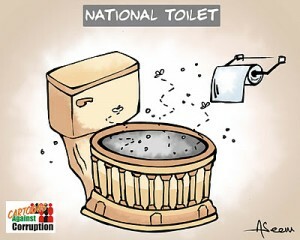 But that has got Aseem Trivedi his day in court. 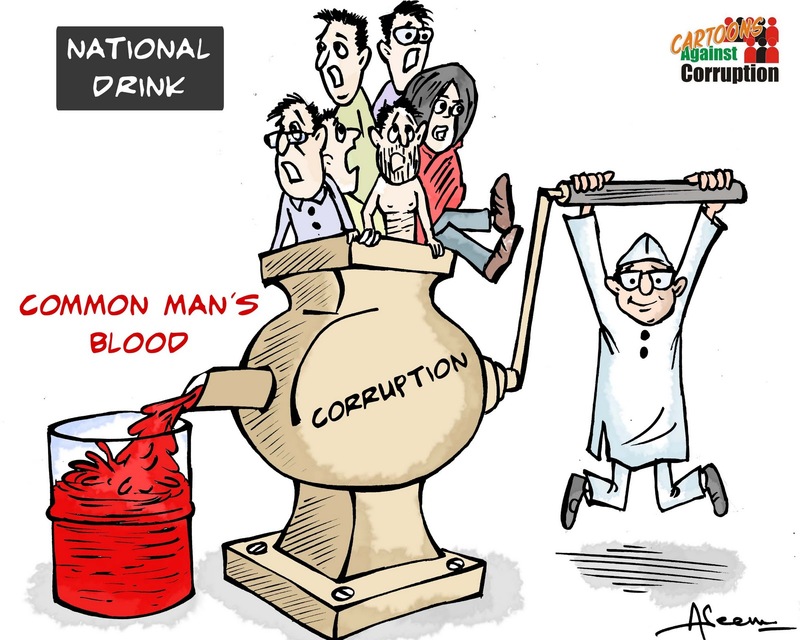 Arrested Saturday he now faces jail time for putting into cartoon form something 99% of Indians say, think or feel every day. 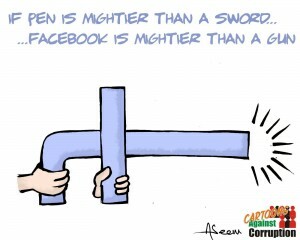 Fulfilling Kapil Sibals censorship wet dreams, his website was taken down after a private complaint by a Bombay lawyer. Samuel Johnson once said that patriotism is the last refuge of a scoundrel. 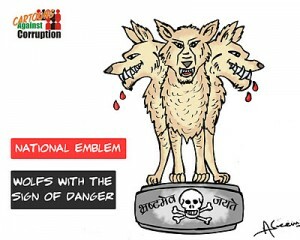 India’s scoundrels have added national emblems as an additional refuge.